Hello, Yes, Spring IS slowly approaching, time of buds and sproutings. It is still too wet to start in the dye garden but the plans are already in place. By July it will be high summer and the dye plants will be in bloom and at their best, I hope. There is still a place or two to share this with us on this year's July workshop. 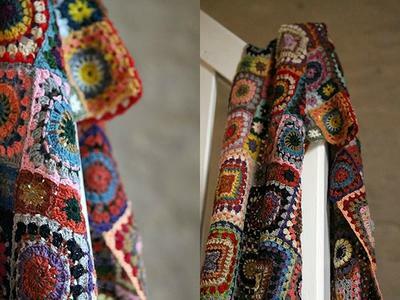 We have been having a little spree here in France with an offer of 10% reduction on the Bohemian Rhapsody shawl kit. The code can be found on the website of French creativity icon Facile Cecile who has crocheted her Bohemian Rhapsody over the winter. Don't forget to have a look around at her other creations. The offer runs until March 15th midnight. We not only sell our crewel wool online but we also supply various shops and designers direct. 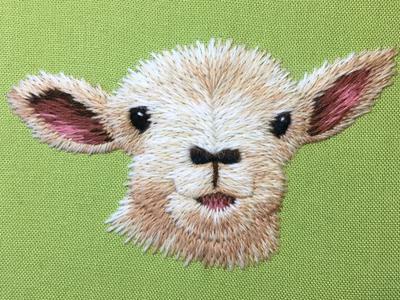 One such is Royal School of Needlework tutor Lizzy Pye who has been using our crewel wool for many years for her Crewel Wool Kits, the latest of which is the enchanting Spring Lamb above, in fact she is giving a course on embroidering this very lamb at Hampton Court on March 18th. More designers in the next newsletter. 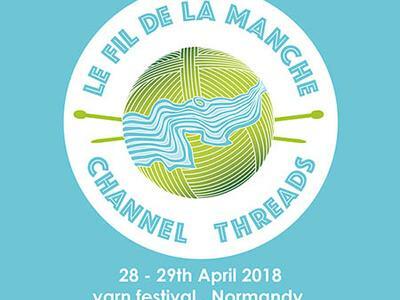 Momentum is building for the new Wool Festival in Normandy, 28th-29th April, LeFildelaManche and we are looking forward to meeting the other stall bringers and designers. 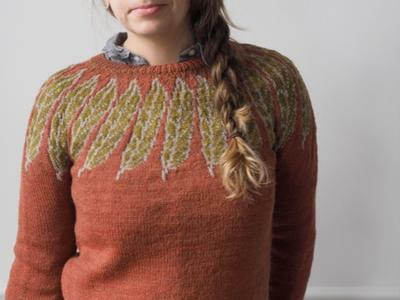 In particular, I am waiting to meet colour tutor Rililie as she will be bringing along a garment she is in the process of designing with our Merinos d'Arles wool. Finally, it is not always easy to keep in contact with the plethora of social media that presents itself to us today. We have many choices, I am tending to use Instagram more, as AndieLuijk it gives me and you an opportunity to visually share what is happening at the moment, which for someone who works alone in a barn at the bottom of France feels good. I do however have to be careful not to drop my tablet into the vats! Denise on 03/24/2018 1:56 a.m.